To build muscle or endurance, you lift weights, run, bike. You exercise. There’s a way to bulk up your brain strength, too: Books. Reading is like doing burpees for your brain. Especially if you start young. This could be because focused reading causes a significant spike in blood flow to parts of the brain used for complex tasks. And reading’s benefits only build from there, making us better writers, exercising our memory and expanding knowledge of words themselves. And starting out with a great vocabulary gives children a leg up. Their vocabulary stays at a higher level than their classmates’ as they get older. As we know from other research, students who are seen as exceptional in school get more positive feedback from teachers and better in-class opportunities. It matters what you read, too. Read the article in its entirety here. The reason I was excited to share the above article today is because it’s National Read Aloud Day. What better way to celebrate literacy is there, than to cuddle close with your precious kids and read out loud together? 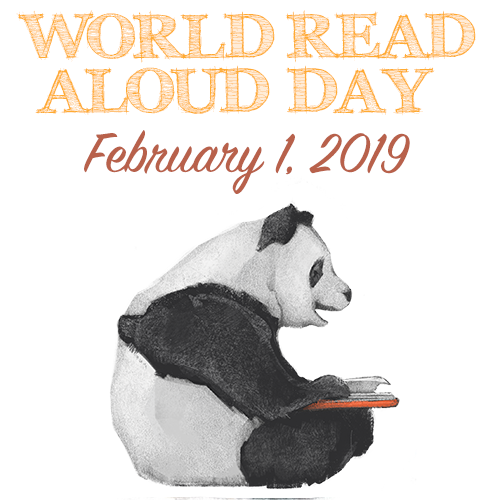 Every year, on February 1st people all around the globe read aloud together and share stories to advocate for literacy as a human right that belongs to all people. Whether you’re parent, teacher or caregiver, there are many ways to participate. I invite you to check out the details here.